These days, whenever a news story pops up about Facebook acquiring a new property or expanding into a new area of business, it’s difficult not to imagine Mark Zuckerberg in an imperial laurel, dressed in a toga, being fed plump grapes while he smears a map with the blood of his enemies to denote his newly conquered territories. Or at least, it would be hard not to imagine that if we didn’t all love Facebook Live so much. All hail Facebook, and all hail Ozuckerbergmandius, the light in our sky. On June 7 Facebook launched its newest venture: FB.gg, the social media giant’s answer to video game live streaming services. It’s a field that’s been largely dominated by providers like Twitch and YouTube Live, but Facebook is now looking to get in on some of that sweet, sweet Fortnite traffic. And with good reason. It’s currently estimated over 500 million individuals are actively watch gaming streams on a regular basis. For the cheap seats, that’s like all of America plus even more people, and Facebook has long been eager to get their hands on that market. In January 2018, they closed a deal with ESL to become the gaming competition’s main broadcaster of its Counter Strike: Global Offensive and DOTA 2 events. That same month, Facebook also started a program designed to bring in professional gamers, promising the opportunity to receive donations from viewers in a manner similar to the Twitch Partners program. What does this mean for Facebook? 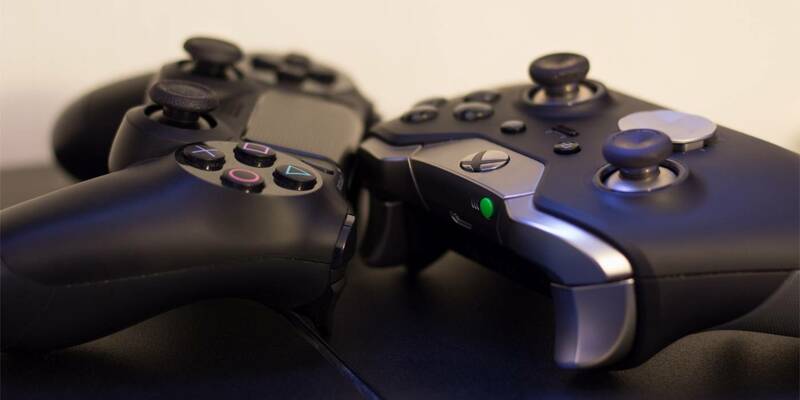 Potentially, it could mean securing an important market that’s already in place: gamers. According to their own data from 2017, over 800 million users play at least one Facebook connected game every month. Add to that the 450 million who liked or followed a gaming page in just one month last year and you have a client base that anyone would get all frothy at the mouth for. It’s a powerhouse move that couldn’t come at a better time. Recent research shows millennials and generation FOMO have started to sour towards Facebook, preferring more instant, visually driven media provided by social networks like Snapchat and Instagram. What they can’t get enough of, apparently, is Twitch, with 15 million plus viewers watching over an hour and a half of content a day. That means big money for Twitch that Facebook wasn’t touching until now. Luring viewers in might be tricky. Even considering its current larval form, FB.gg isn’t pulling in anywhere near the same numbers as Twitch and YouTube. At the time that this article was written, Facebook’s most viewed gaming stream had only 1,500 viewers, compared to Twitch’s 35,000 for their most viewed. But Facebook plans to change that, using algorithms – that are already in place – to alert viewers when celebrities and gamers they’ve shown interest in start up a stream. They have a good shot at bringing those celebrities in, too, through their Level Up program. For now, it’s only open to a limited number of streamers, but they plan to roll it out more publicly in the coming months. Through Level Up, viewers can purchase Stars, a digital currency, to donate to gamers during a stream. Facebook will keep between 5 percent and 30 percent of the proceeds, depending on the number of Stars the viewers purchase. If this sounds familiar, it’s again because it’s remarkably similar to the Twitch Partners program. Still though, even being as late to the party as they are, Facebook has some definite advantages as it embarks on this new enterprise. FB.gg has a beautiful interface, funneling its video through the enormously successful Facebook Live video hub. This makes donating Stars to streamers easy and intuitive, and allows streamers to post links to other sites that viewers can contribute through. It doesn’t hurt that Facebook also has page design down to an eerie, gleamingly-polished science, so the site itself, while lacking the Joel Schumacher-esque neon edginess Twitch has, is easy on the eyes and a breeze to navigate. What happens next is anyone’s guess. Behemoth that they are, it’s easy to forget Facebook has had its share of missteps in the past. Projects such as Poke (their shot across the bow at Snapchat) and the disastrous Facebook Phone have failed to even tread water. The tech giant continues to hit more than they miss, though. Will FB.gg manage to take on the competition? Tune in to the new site to find out.